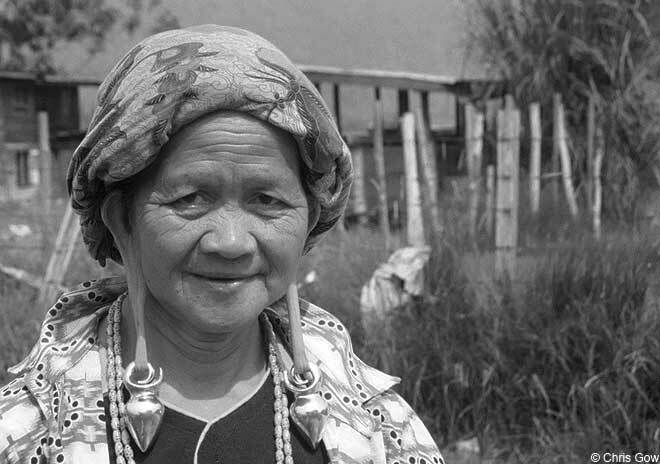 Traditionally the women of the Kelabit tribe of northern Borneo would use heavy brass weights to stretch their earlobes, considered to be highly attractive. Sadly this is another tradition that is fast disappearing. I once met a lady who had had her earlobes surgically removed as she considered them no longer fashionable.